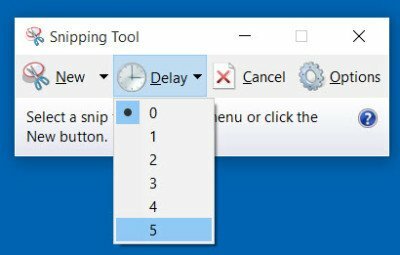 The new Snipping Tool in Windows 10 now lets you set up to a 5 second delay to capture pop-up menus. The rest of the features appear to be the same as they were in Windows 8.1. Go check this post for some cool Snipping Tool tips & tricks.